The Precision Flow 190PD is a portable hand held Dual Mode clamp-on ultrasonic flow meter. 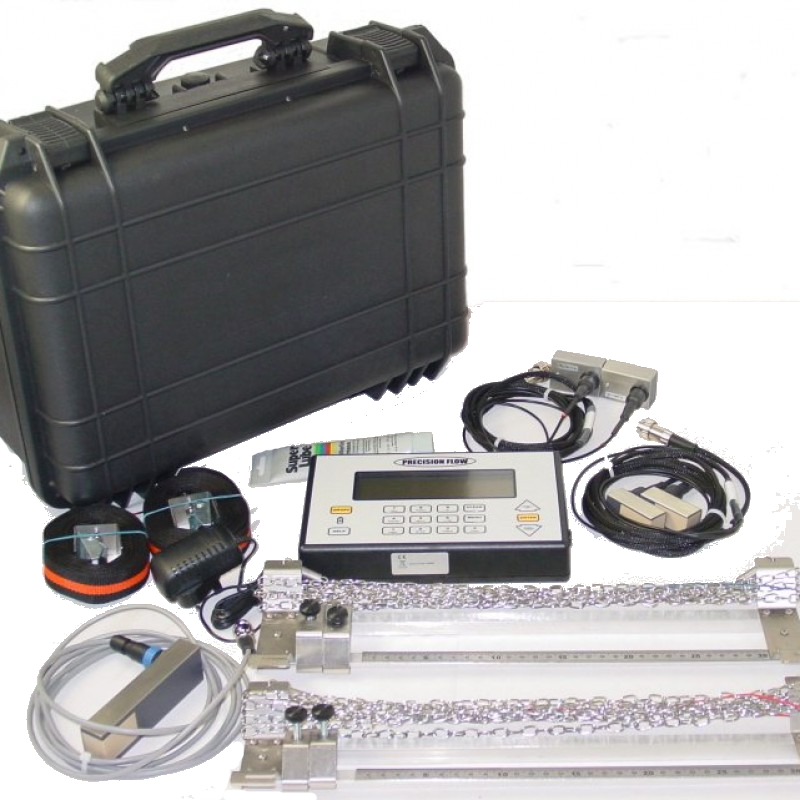 The 190PD can operate in both Doppler and Transit time modes, this allows the flow measurement of both dirty and clean fluids and also includes a choice of analogue outputs, thickness gauge option, graphical display of data, data logger, connection to PC, on board help, automatic speed of sound measurement and flow profile correction algorithm. Precision Flow’s experience in ultrasonic technology ensures that the 190PD is a high precision instrument, which can be configured and operational within minutes. Various sensor and clamping options are available for non standard applications. Measure flow rate within a pipe without cutting the pipe. Ideal for both dirty and clean fluids. Latest correlation and Doppler signal detection systems. Automatic speed of sound measurement and flow profile correction in transit time mode. AZW adaptive zoom windowing technology as standard. No complicated upper velocity limits on sensors. Advanced Matrix array Doppler sensor. Built in Reynolds number correction. Suitable for all commonly used sonically conductive pipe materials and liquids. The Precision Flow 190PD is a lightweight, high quality, transit time, and Doppler flowmeter designed to meet the flow measurement needs of the service, maintenance and commissioning engineer. The flowmeter has dedicated Doppler and transit time sensors for superior performance.